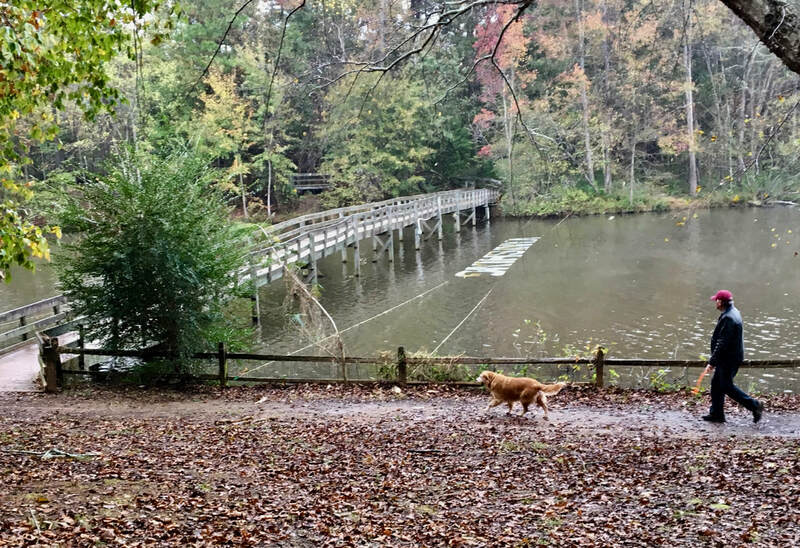 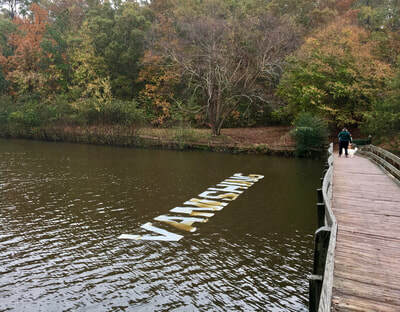 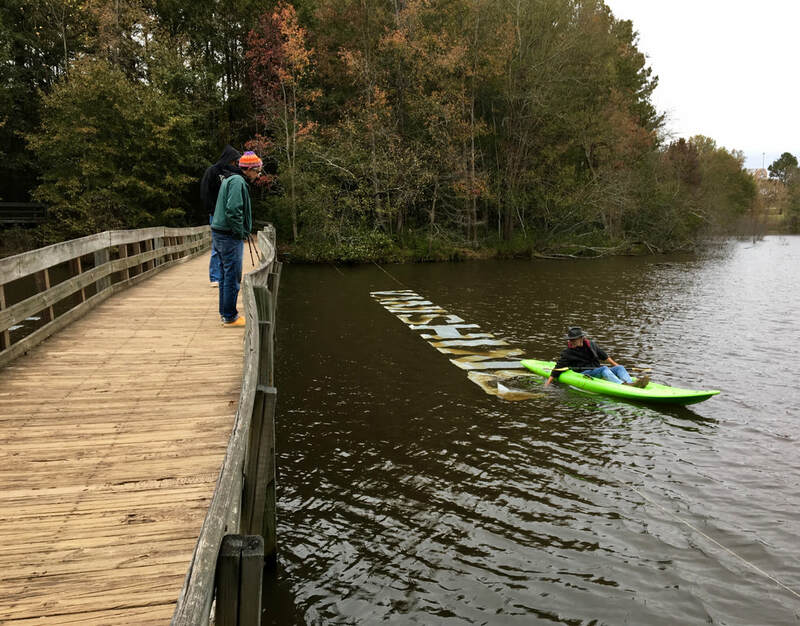 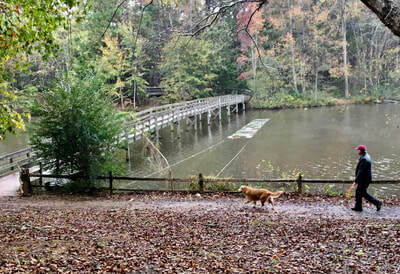 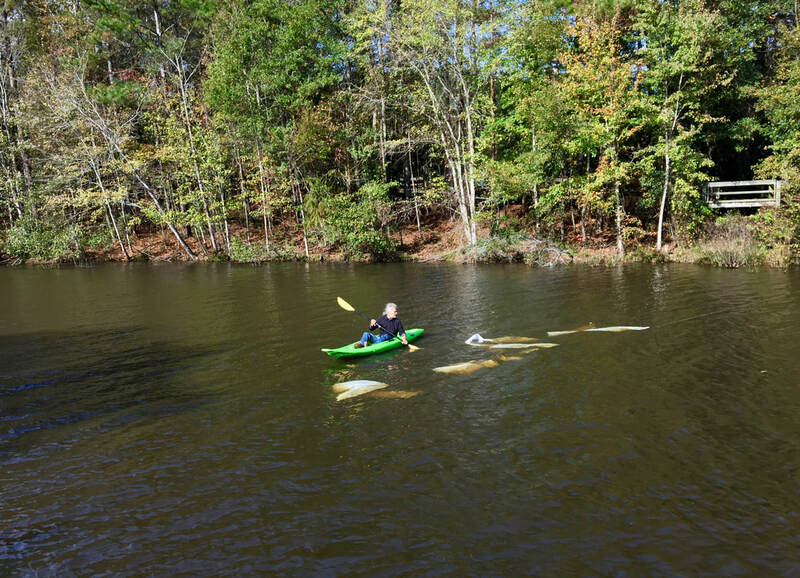 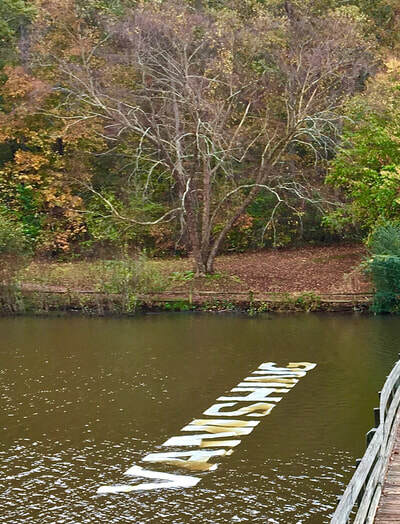 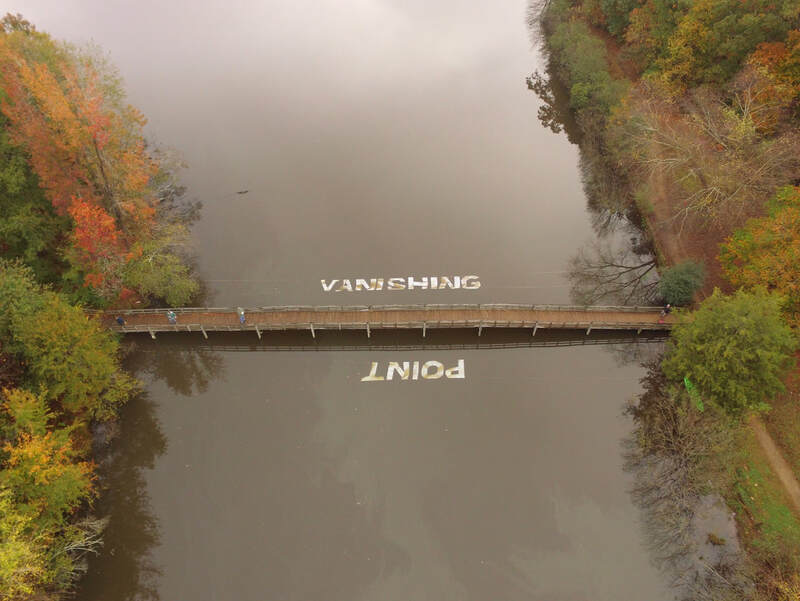 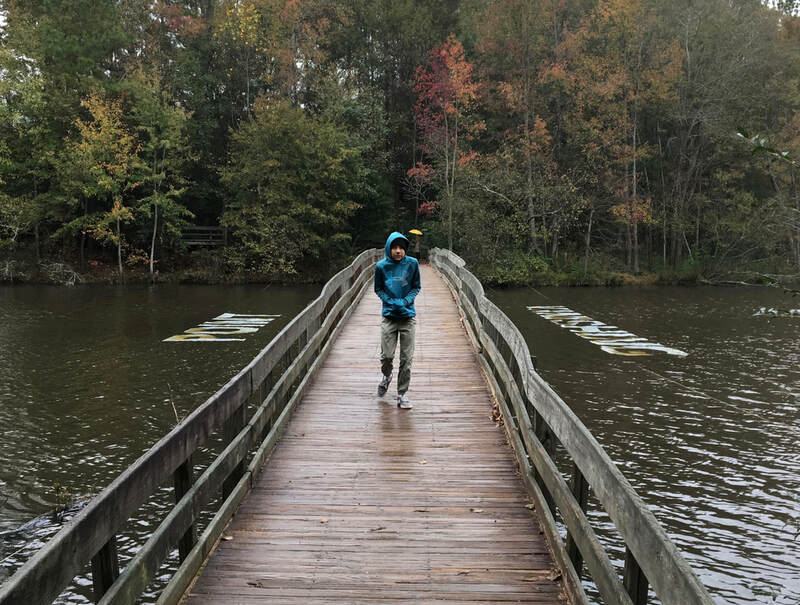 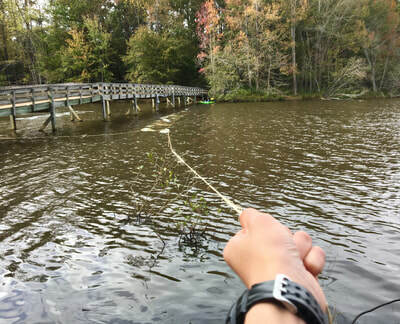 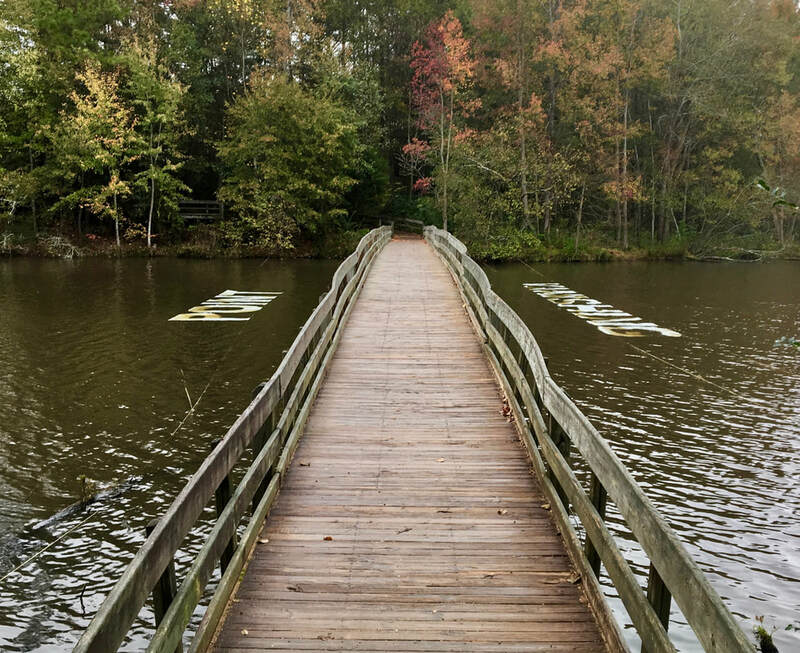 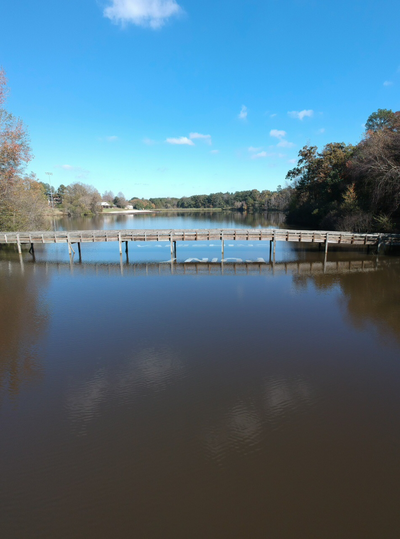 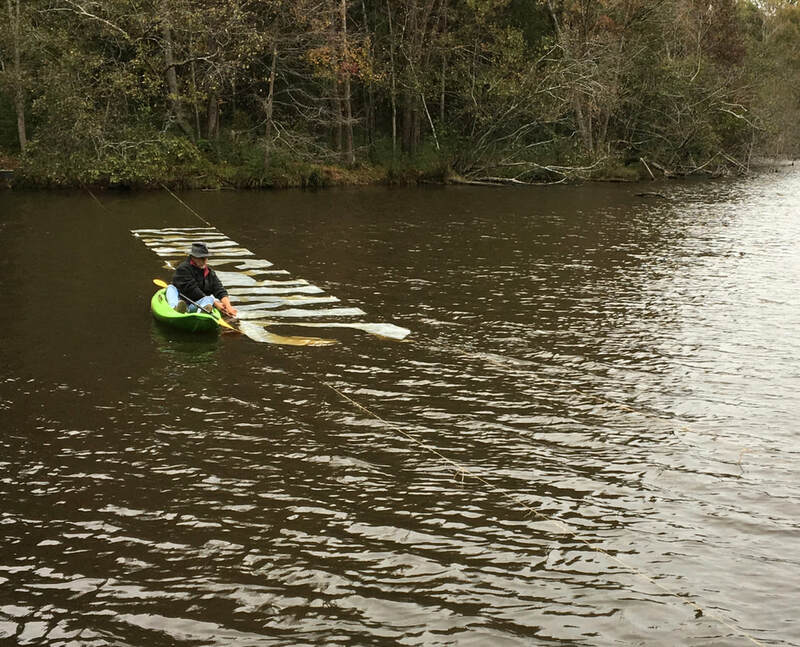 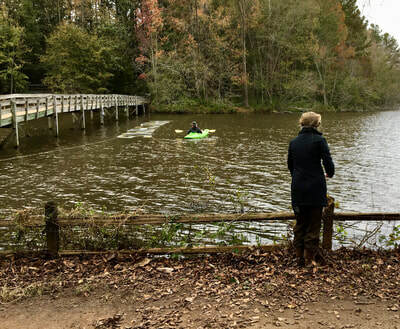 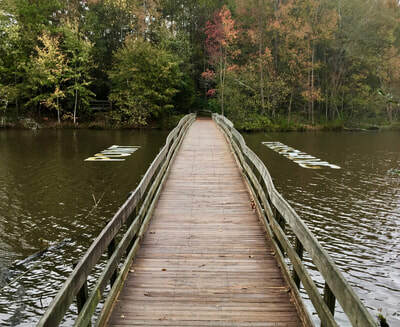 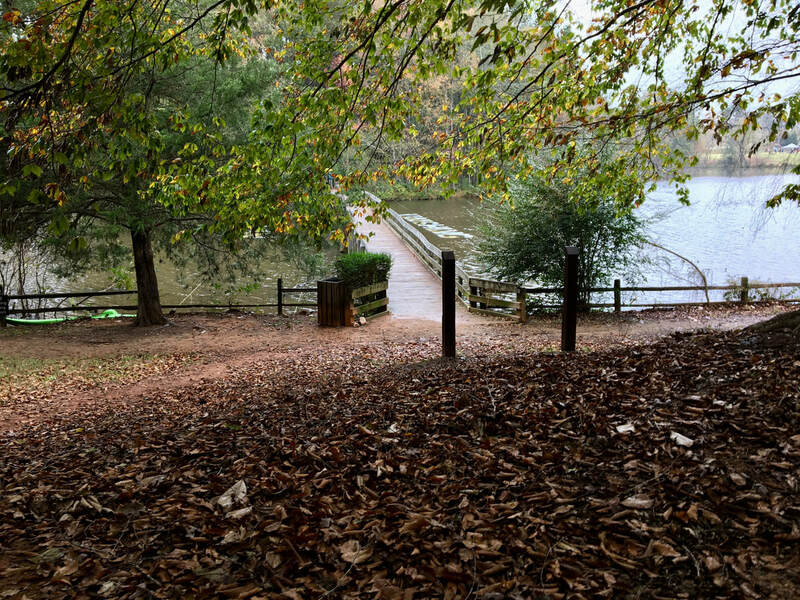 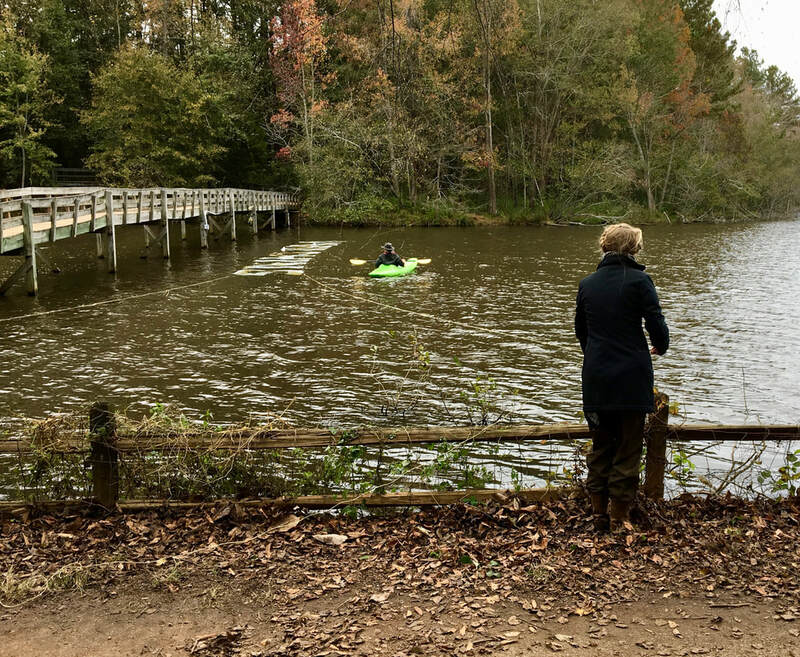 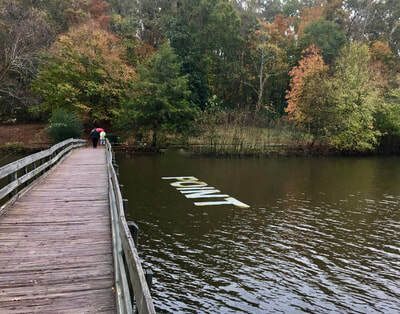 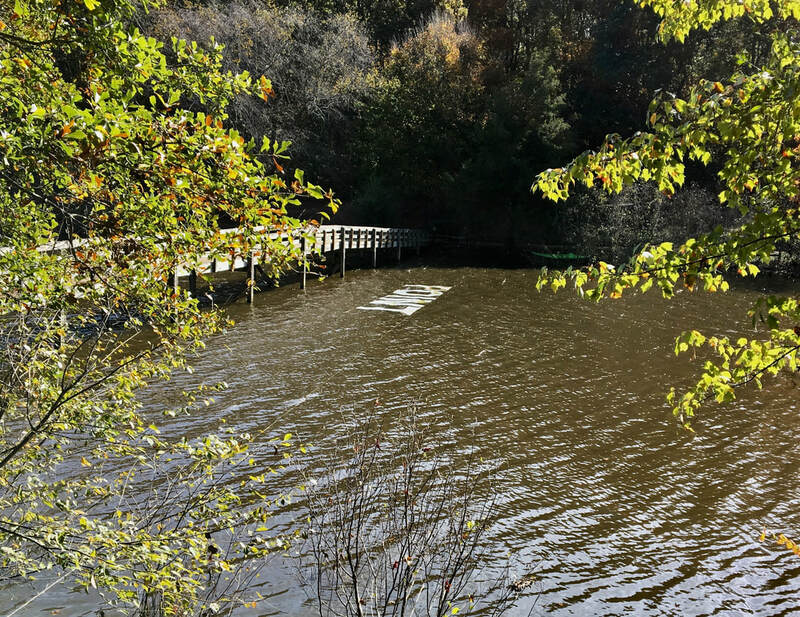 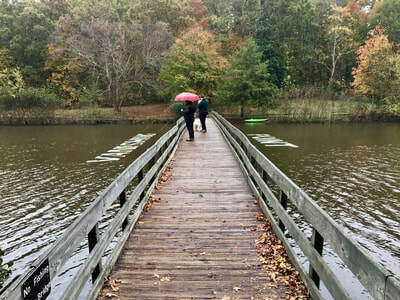 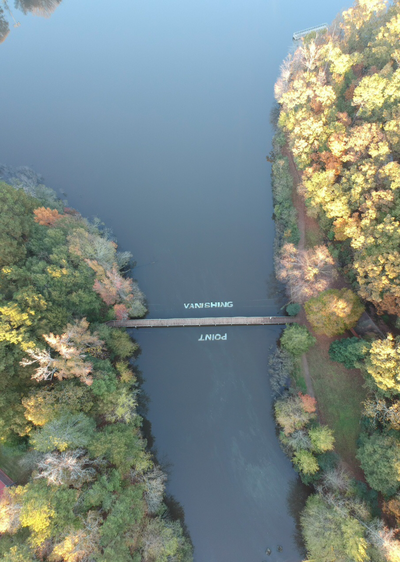 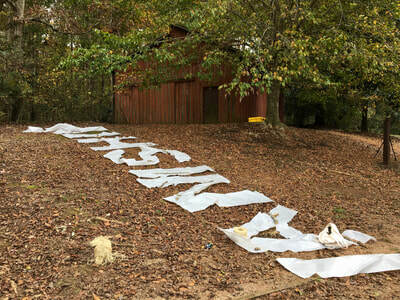 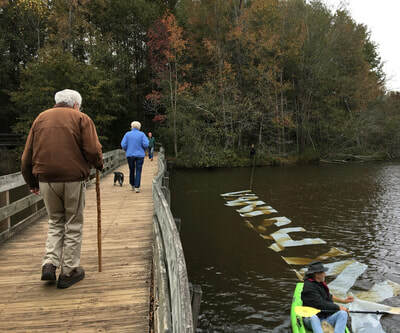 The idea for this “writing on water” project began with the old wooden bridge, seen in photographs of Lake Herrick on the campus of the University of Georgia, in Athens, Georgia. 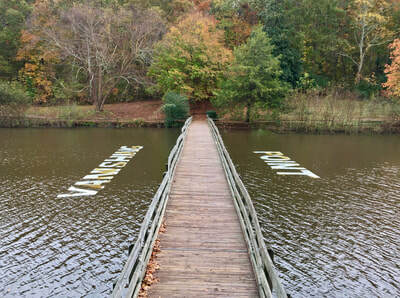 Months before, I'd been asked by the University of Georgia's Ideas for Creative Exploration (ICE) and the Department of English to create a site-specific art and poetry installation on the lake. 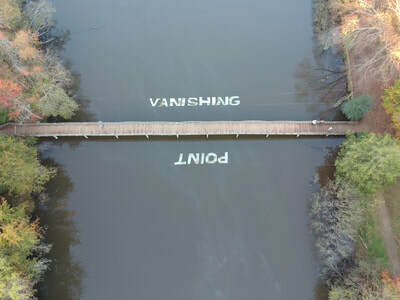 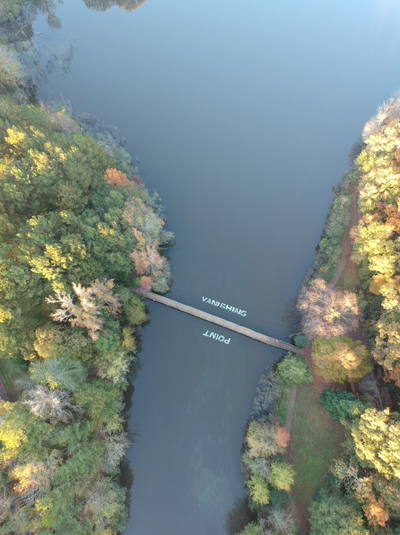 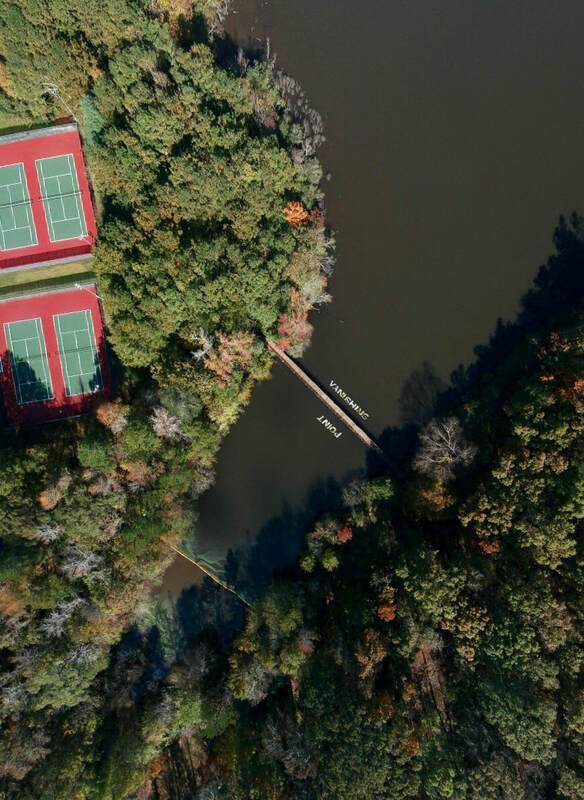 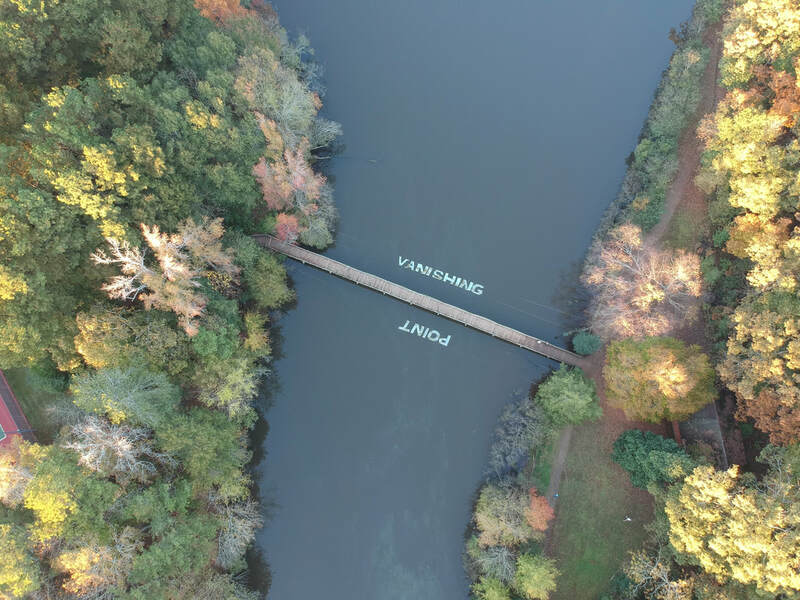 From aerial photos of the site—one which I did not know and had never visited—I could see that the lake was large, but that the bridge offered a structural division, a line of crossable separation and connection. 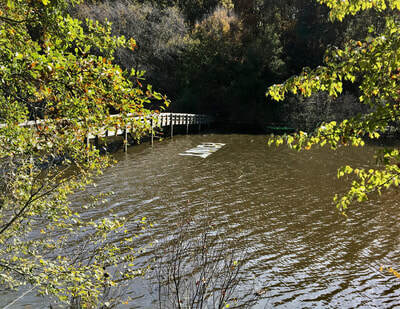 The bridge also appeared to present a point of view, a point of vision that I imagined, once walked upon, would create a point of vanishing, its receding parallel lines converging across the luminous water and onto the darkening shore beyond. 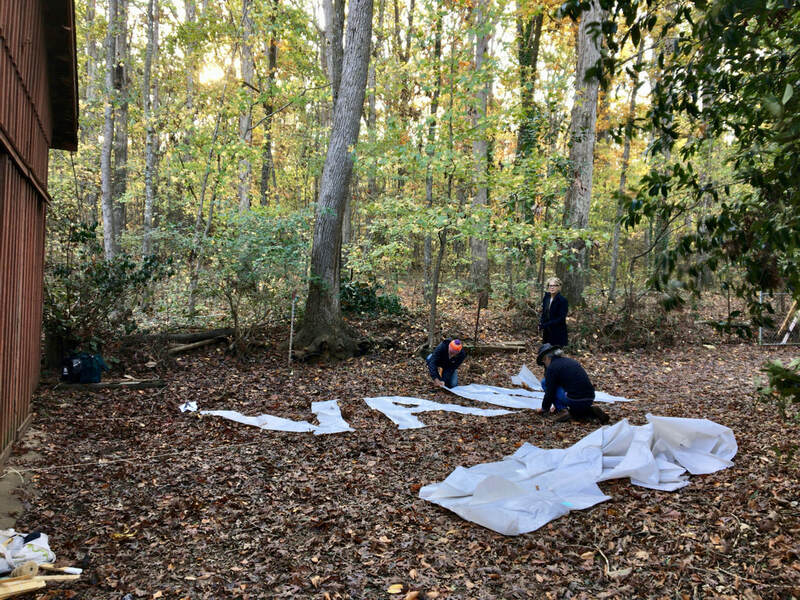 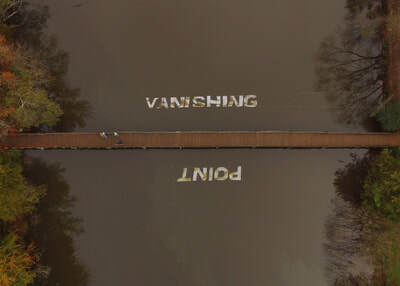 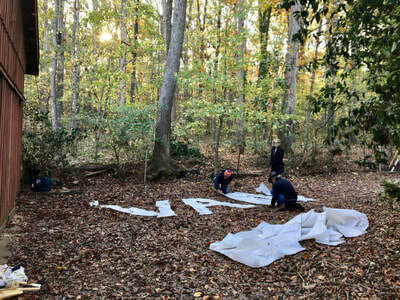 In early November 2017—in specific response to these thoughts upon the site, these distant reflections upon that old bridge—the large words VANISHING and POINT (with each letter approximately 6’ x 6’) were written on the water, positioned alternately on each side of the bridge. Once in place, and walking across the bridge, one moved alongside those floating words, as if enacting the vanishing inscribed on the water below, embodying in one’s own movement a point of disappearance onto the opposite shore. 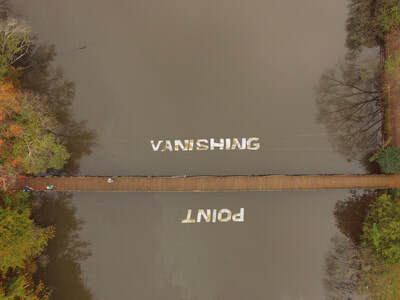 Over time, the force of the wind detached and disassembled the word POINT (its letters an illegible jumble in the middle of the lake, as if heeding the project’s own message), while the word VANISHING remained in place until the end of the month when it too was finally removed from the water, a vanishing of vanishing, a silence of sorts restored to the lake’s surface. 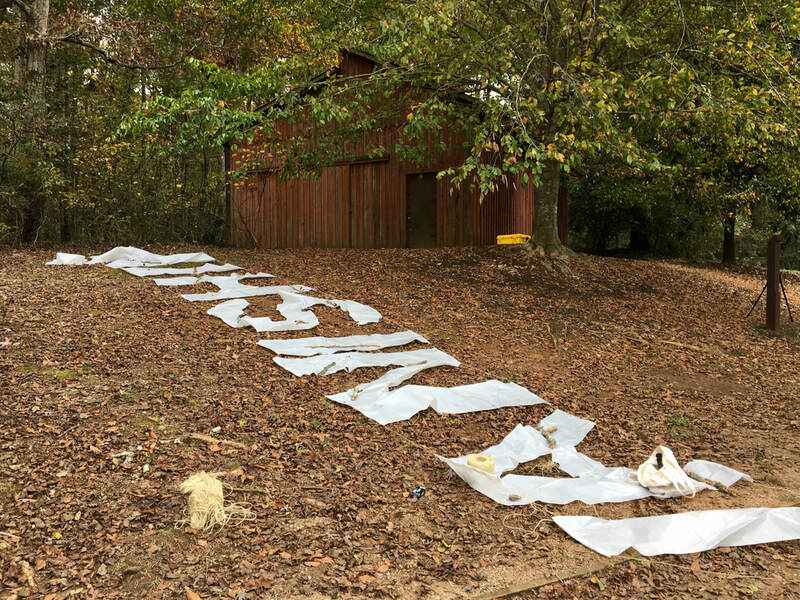 Jed Rasula, University of Georgia Department of English.